“I am very proud today that I took communion in the Church of St. George of the Ecumenical Patriarchate, our Mother Church. 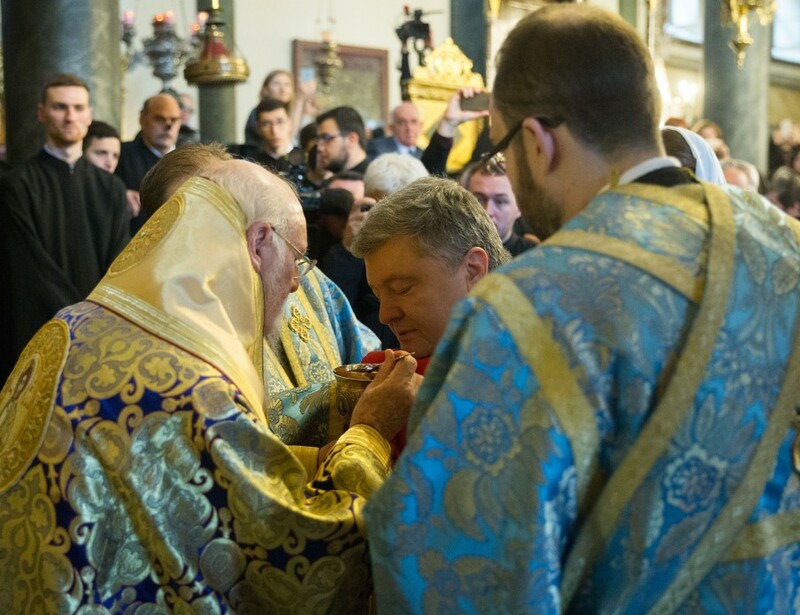 At the service conducted by His All-Holiness Patriarch and His Beatitude Epifaniy,” the Head of State said. 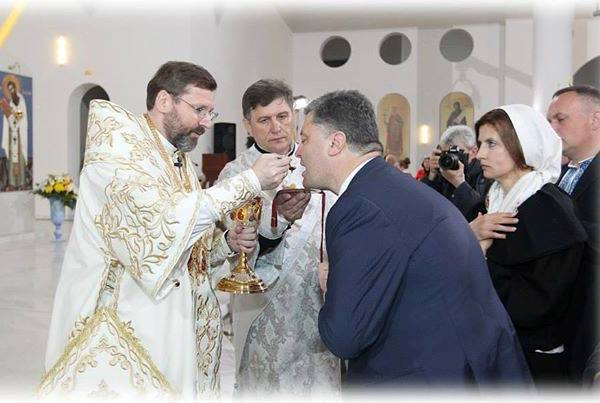 Ukrainian President Petro Poroshenko beautifully shows the wretched beliefs of the Ecumenists. 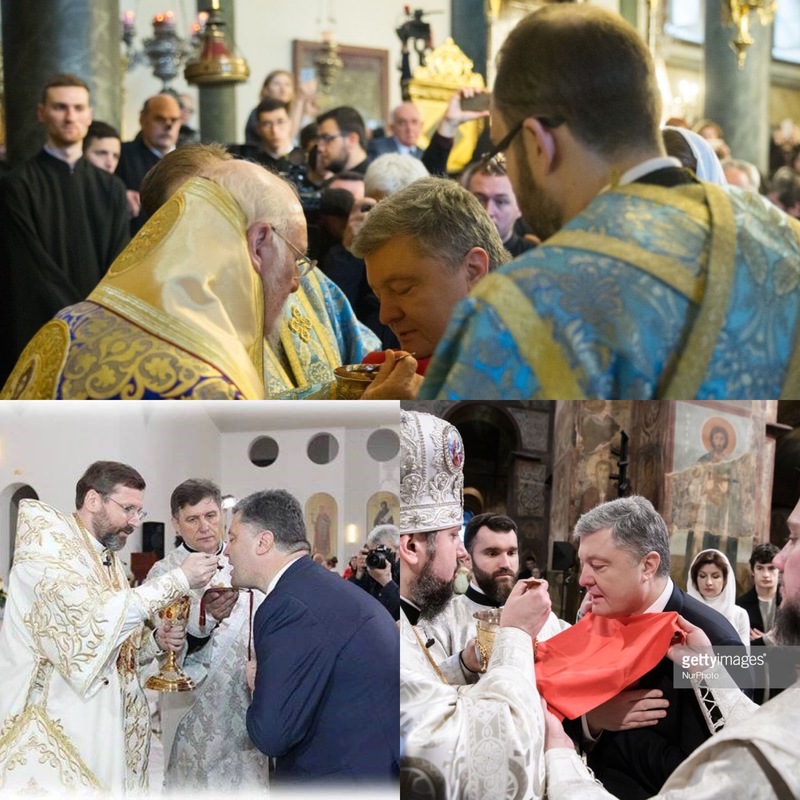 He is shown here happily communing from both the Ukrainian Catholic Uniates and “World Orthodox” including the new “Pope of the East” Bartholomew. Congratulations ecumenists! Next Pope Offered $1 Million to be Vegan (Fast) for Lent!